Create a Reset Password page with forgot password form so you can keep the look and feel of your theme when users forget a password. Please note: you must have the WordPress user registration plugin installed in order to create a Reset Password page. 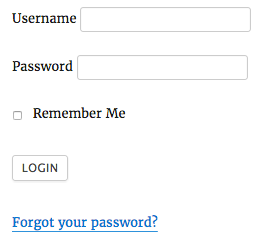 Create a page where logged-out users can reset their password if they have forgotten it. Follow the steps below to set this up. This will add a 'Forgot your password?' link to your login form. Go to 'Formidable' → 'Global Settings' → 'Registration'. In the 'Global Pages' section, map the 'Reset Password Page' option to the 'Reset Password' page you just created. After the user submits their email address, a link will be emailed to them which will take the user back to the 'Lost Password' page to reset their password. This shortcode inserts a 'Lost Password' form that will send users a reset password link when submitted. The link takes the user back to your site to reset their password. The shortcode will then show a 'Reset Password' form rather than a 'Lost Password' form. lostpass_button: Use this parameter to set the text on the "Get new password" button. resetpass_button: Use this parameter to set the text on the "Reset password" button. class: Apply a Formidable Style or your own CSS class to the reset password form. If no class is specified, the default Formidable style will be used. If you would like to remove Formidable styling, add class="" to the shortcode. 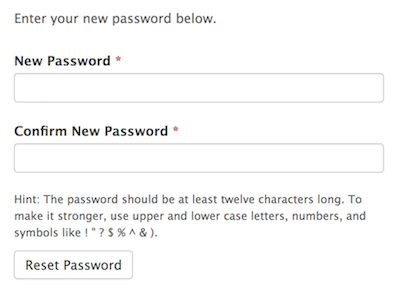 If you would like to apply a specific Formidable Style to your Reset Password form, follow the directions below. 'Select' the Style you would like to use. Scroll down to the bottom of the page where the CSS class of the Style is located. Copy the CSS class name. Now when the page is visited, the reset password form will be in the selected style.